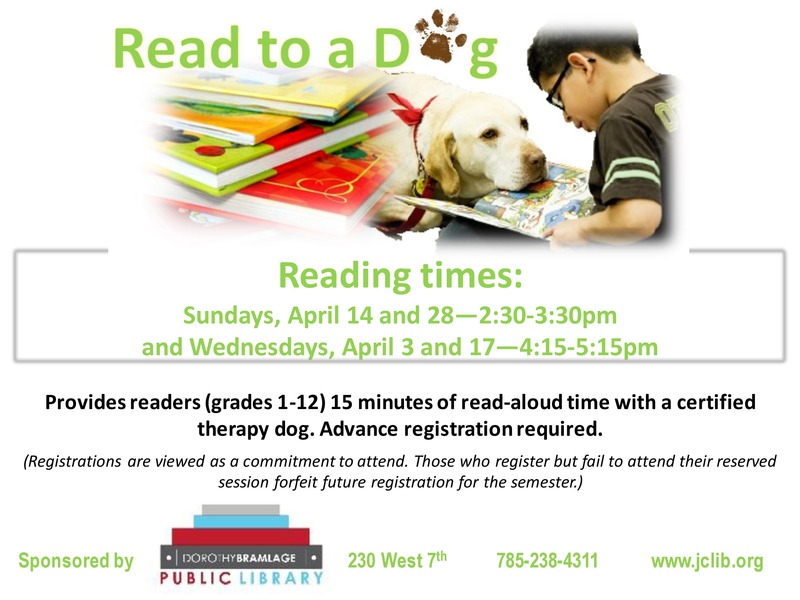 Provides readers, grades 1-12, fifteen minutes of read-aloud time with a certified therapy dog. Advance registration is required. Registrations are viewed as a commitment to attend. Those who register, but fail to attend their reserved session, forfeit future registration for the semester.